Wednesday marks the first official day that the competition window is open for the big-wave surfing contest at world-renowned Mavericks just north of Half Moon Bay. Wednesday marked the first official day that the competition window is open for the big-wave surfing contest at world-renowned Mavericks just north of Half Moon Bay. The World Surf League is now in charge of organizing the surfing event, which hasn't occurred since 2016 amid squabbles over ownership and contest rights. World Surf League finalized the permit for the event back in October after coming to an agreement with Titans of Mavericks and Cartel Management. World Surf League also renamed the event Mavericks Challenge. The window of competition for Mavericks Challenge will close on Feb. 28. The international surfing contest will only take place if swells exceed the 30-foot level. 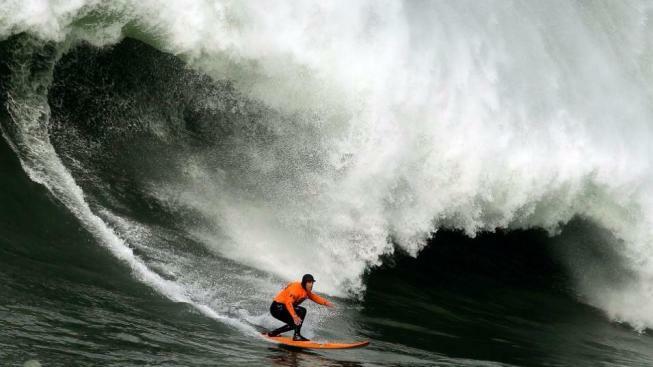 If Mother Nature produces waves of that height, the best big-wave surfers from around the globe will be given a 72-hour notice to pack their boards and make their way to the Bay Area.